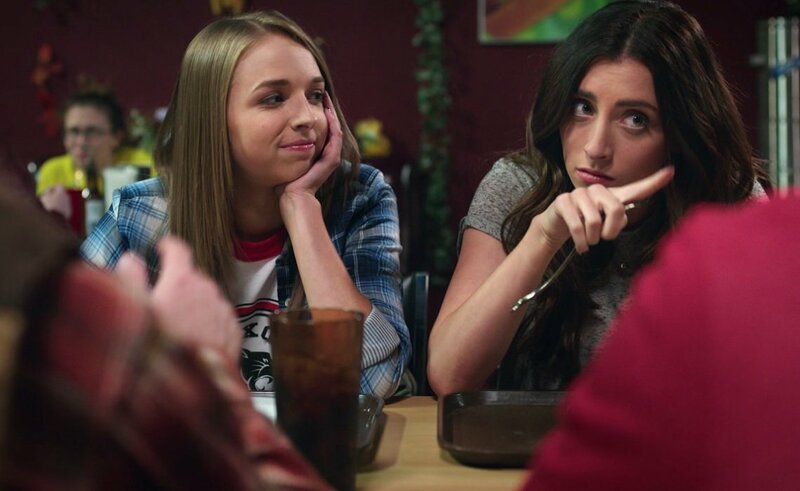 Back in February 2015, GRB Entertainment announced the upcoming film Bad Night, starring YouTube celebrities Lauren Elizabeth (known as LoveLaurenElizabeth) and Jenn McAllister (aka JennXPenn). Now, the production house, known for reality TV series such as Intervention, has set an official release date for its first feature film. Bad Night will premiere on July 21, 2015. Bad Night stars Elizabeth and McAllister (who boast over 3 million subscribers between their two YouTube channels) as two high school students who are mistaken for art thieves after they get into the wrong car during a class field trip. Variety, who originally broke the story, reports the GRB-produced film will be digitally released through Vimeo on Demand on July 21. Directed by Chris and Nick Riedell (of Camp Takota fame), Bad Night is produced by Elizabeth, McAllister, AJ Tesler, and Big Frame’s Byron Austen Ashley and Rana Zand. Daniel Kinno wrote the film’s script, which co-stars Matt Walsh (Veep), Adam Pally (The Mindy Project), Casey Wilson (SNL), and Molly Ringwald (The Breakfast Club). You can learn more information about Bad Night by visiting the film’s official website at badnightmovie.com.